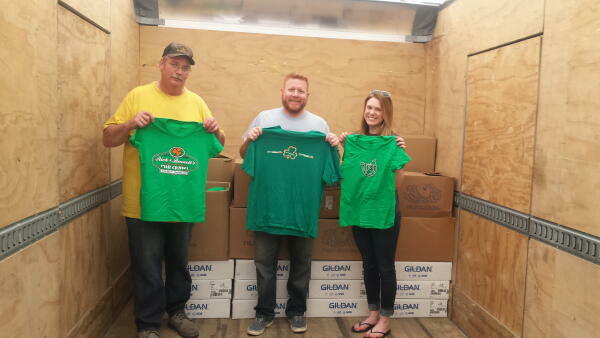 RockHouse Events, Rich & Bennett Donates 3,000 Shirts to Planet Aid - Planet Aid, Inc. Planet Aid driver Phil Mathis pictured with RockHouse Events/Rich & Bennett's Founder Rich Saner and Operations Manager Kaitlyn Lavallee. Promotions companies RockHouse Events and Rich & Bennet donated approximately 3,000 never-worn t-shirts from past events to Planet Aid. They are also working with Planet Aid to collect clothing during some of their future events. We thank them for helping to keep textiles out of the trash!